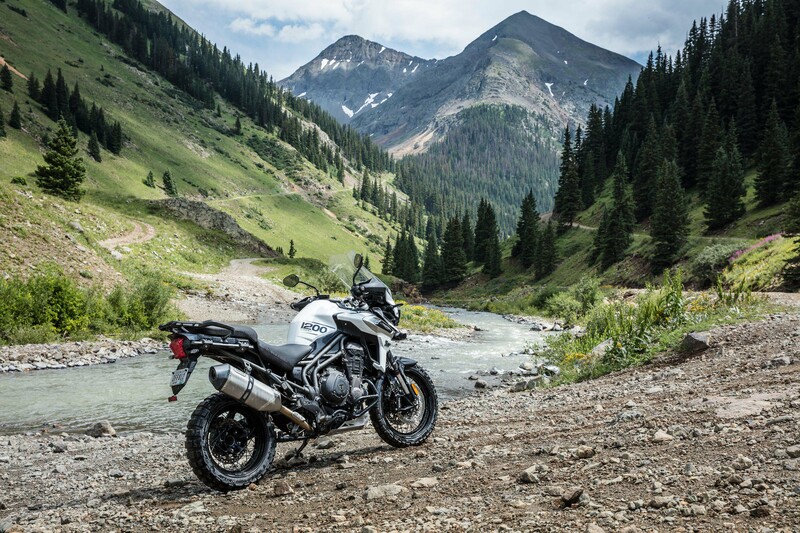 The name of the game for Triumph’s 2018 ADV bikes is subtlety, but effective updates for the upcoming model year. As such, we have already seen at the EICMA show in Milan that the Triumph Tiger 800 gets modest updates for the 2018 model year. 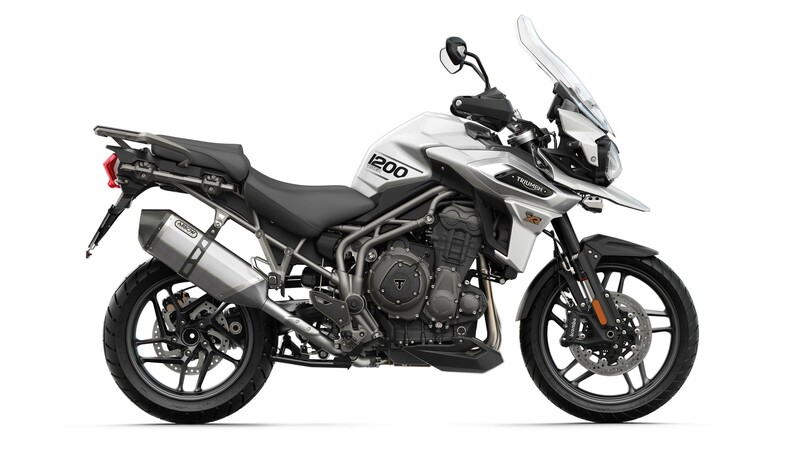 The 2018 Triumph Tiger 1200 too gets a much needed overhaul, though like the Tiger 800, the changes are hard to spot on the full-size adventure-tourer in the British brand’s ADV lineup. 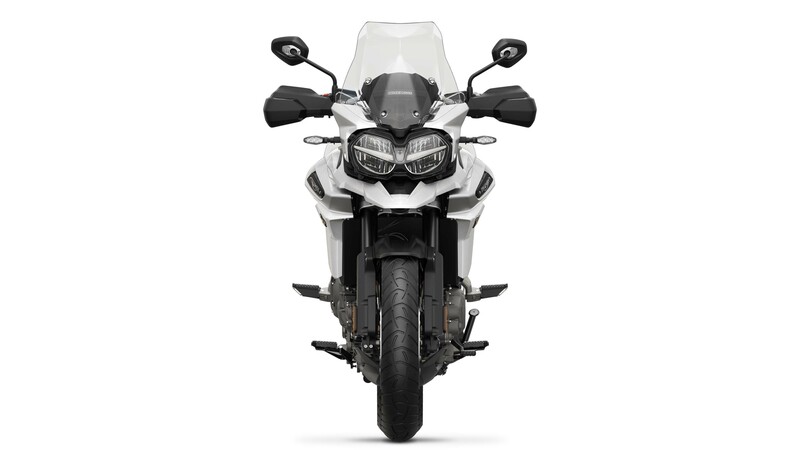 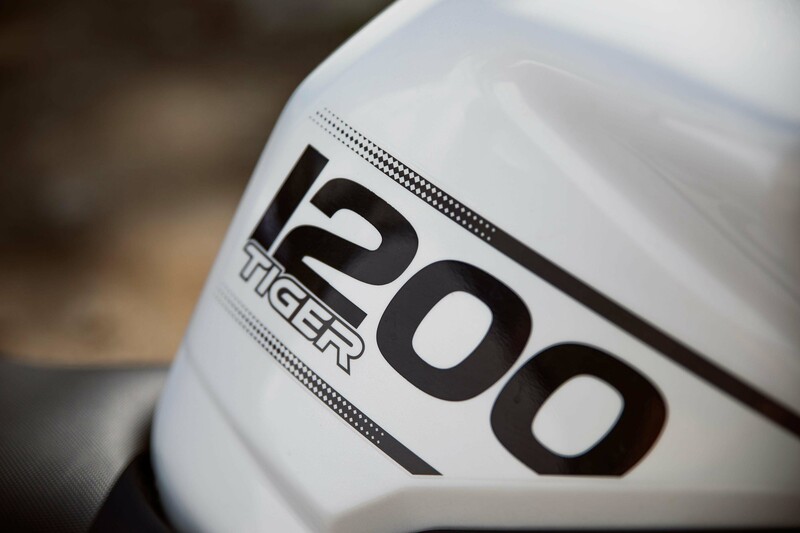 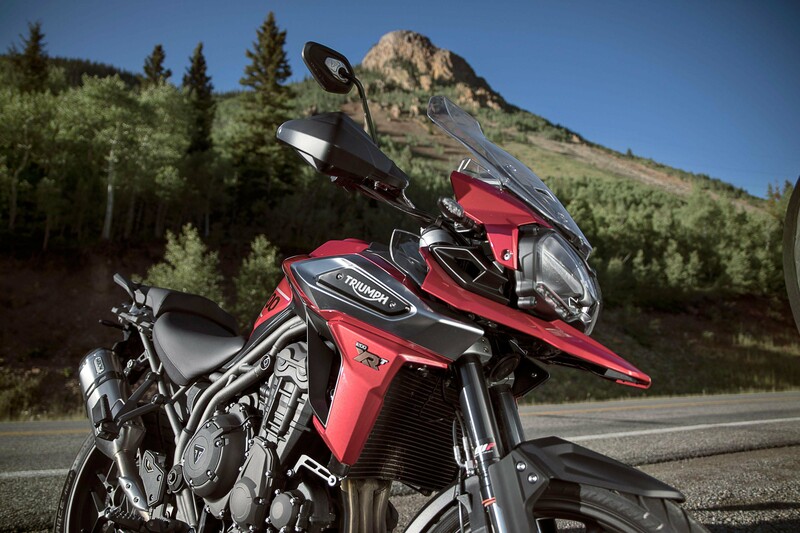 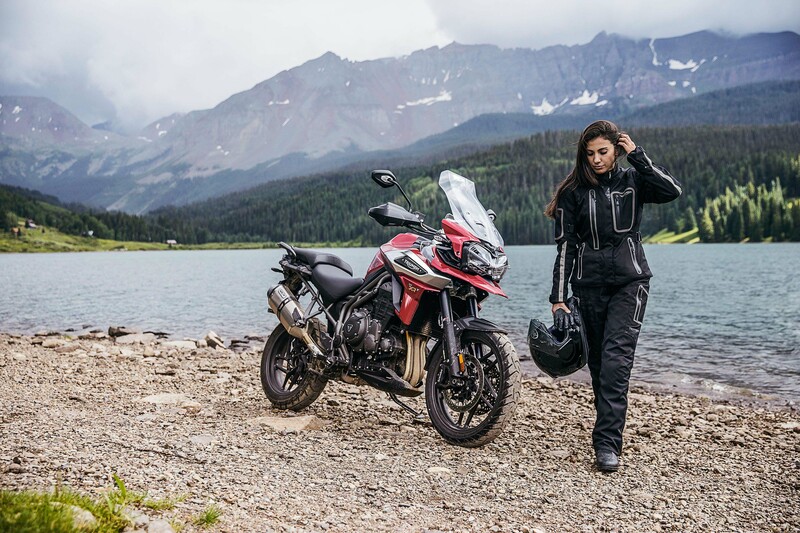 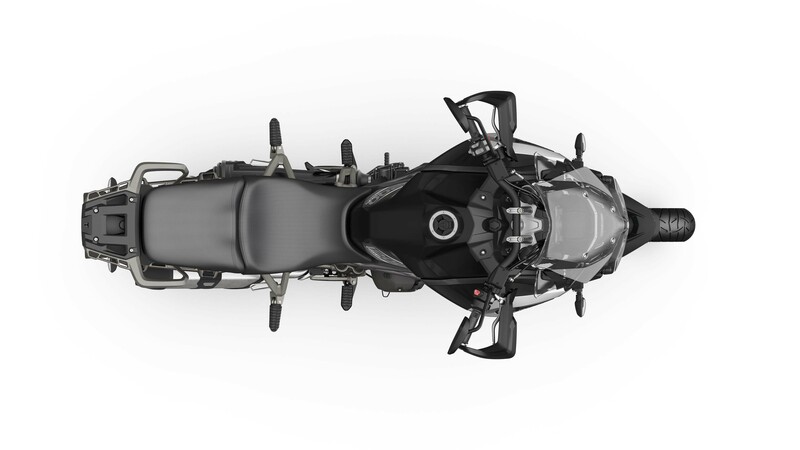 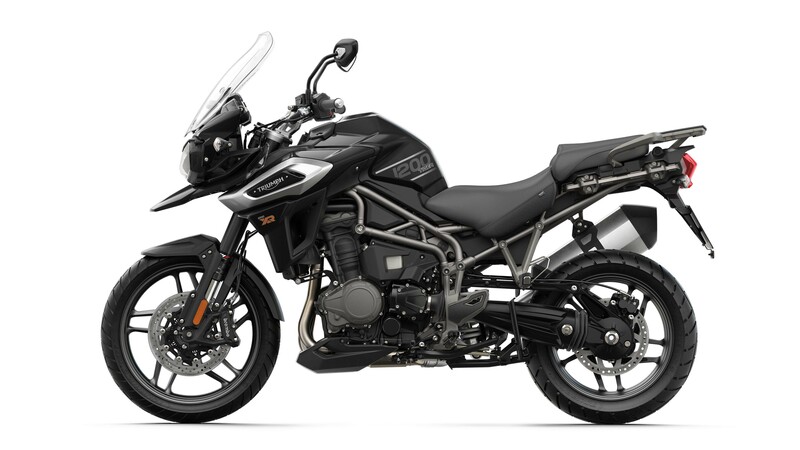 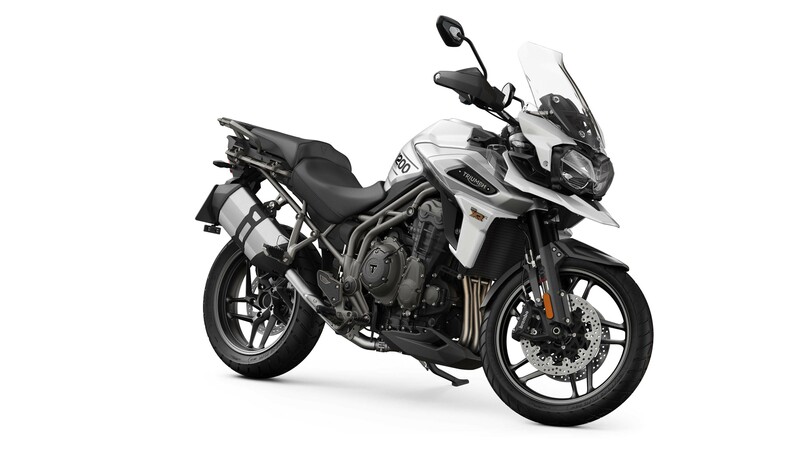 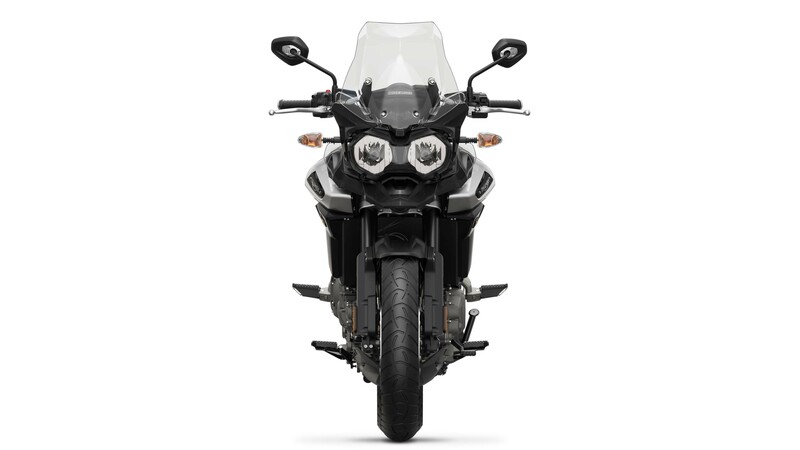 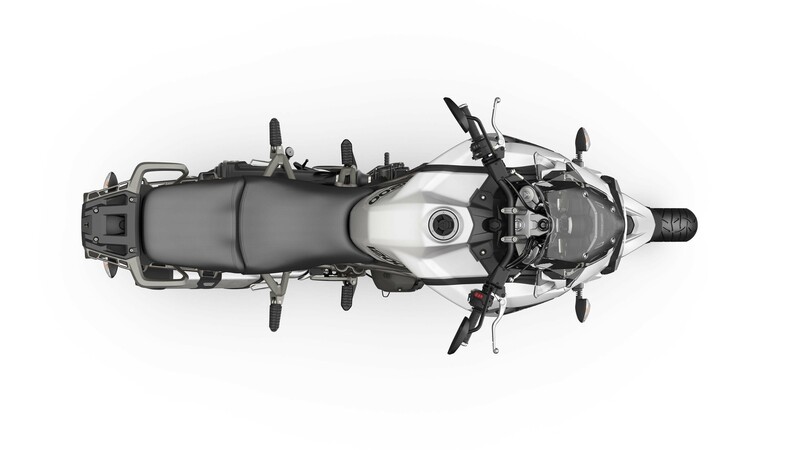 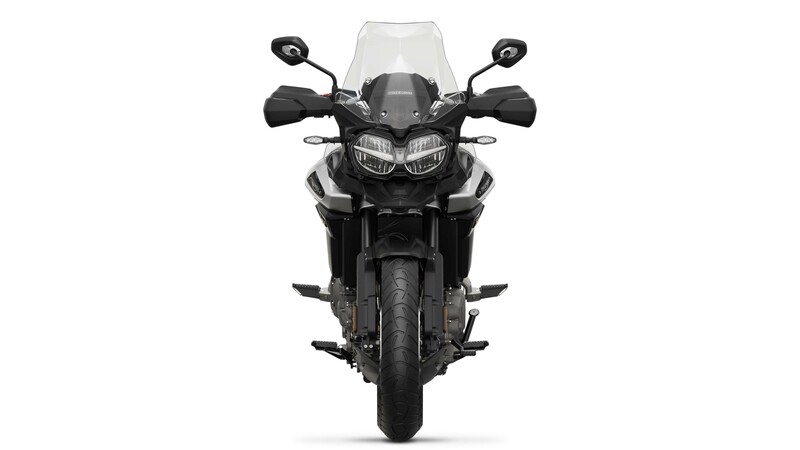 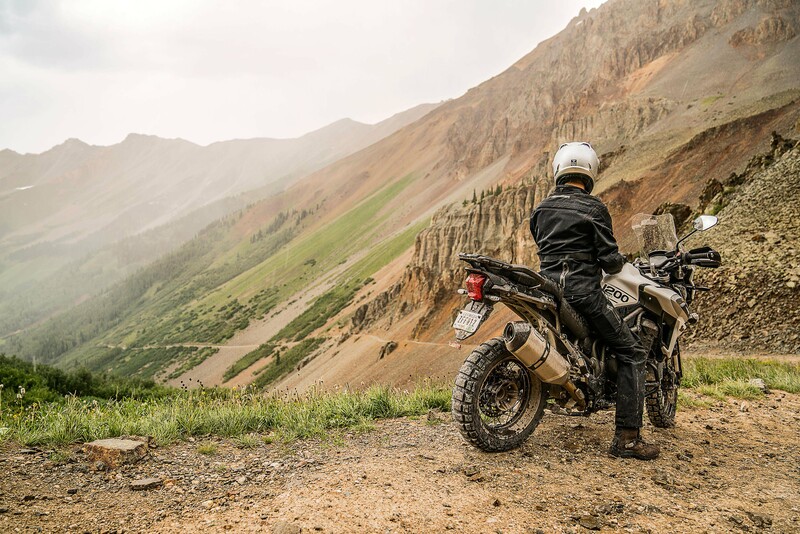 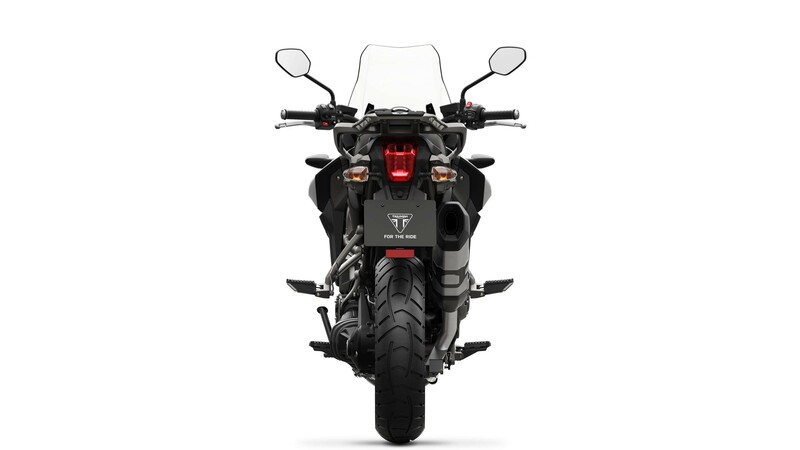 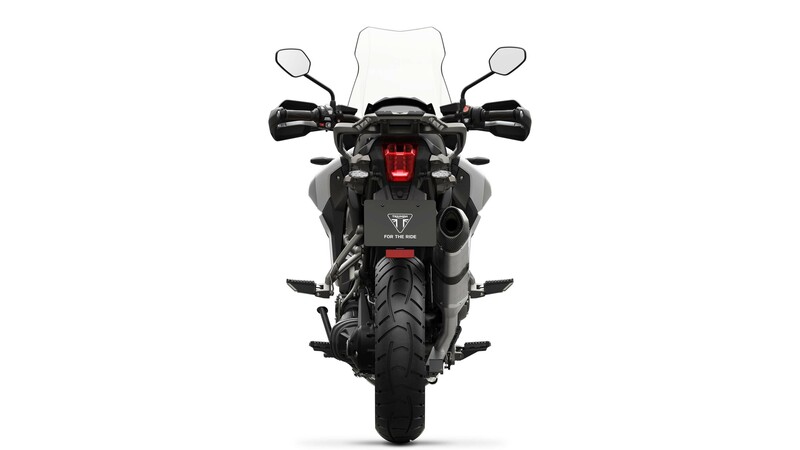 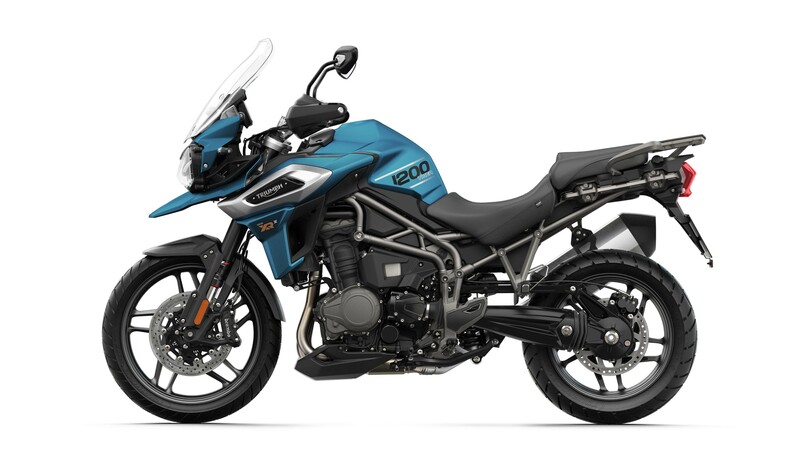 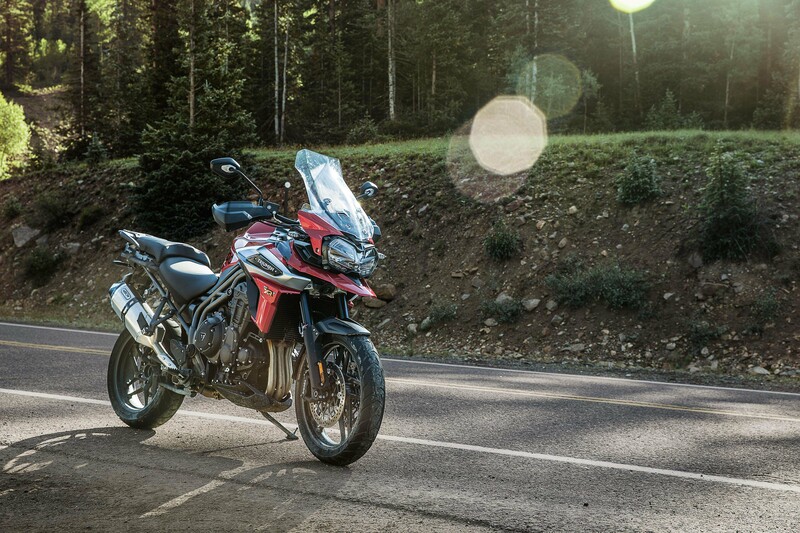 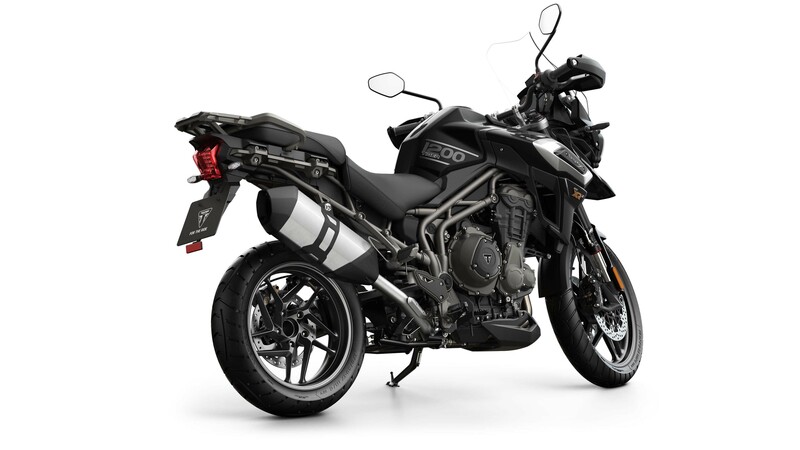 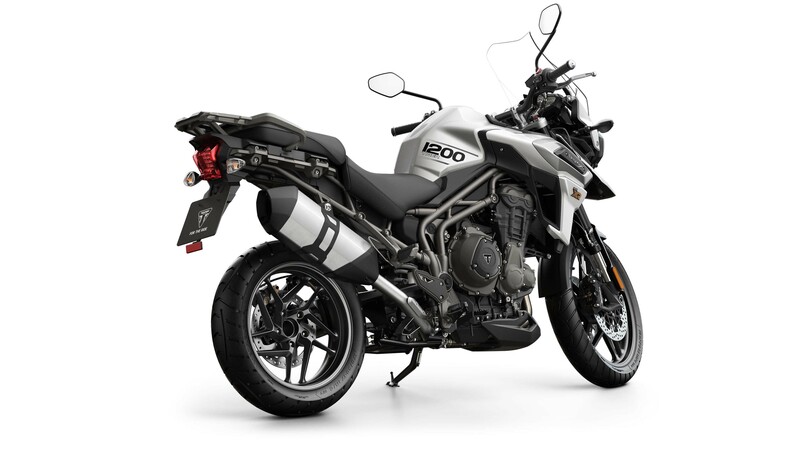 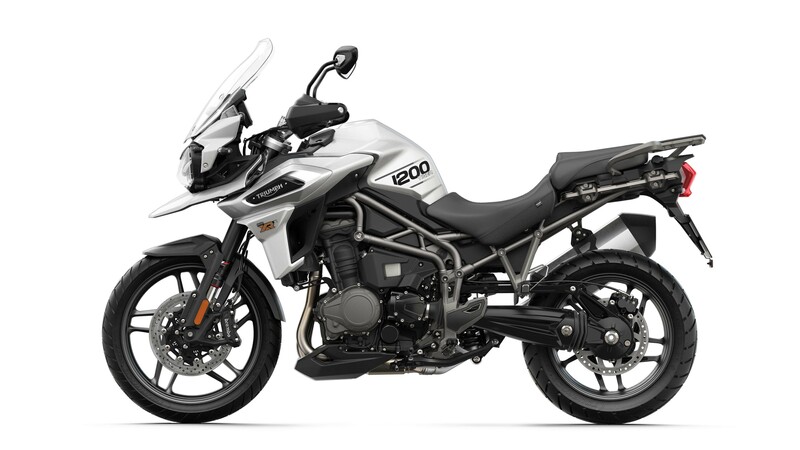 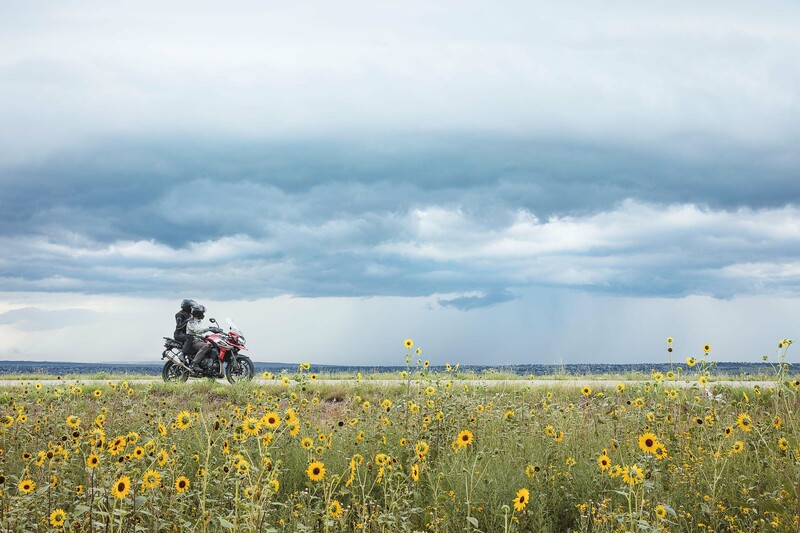 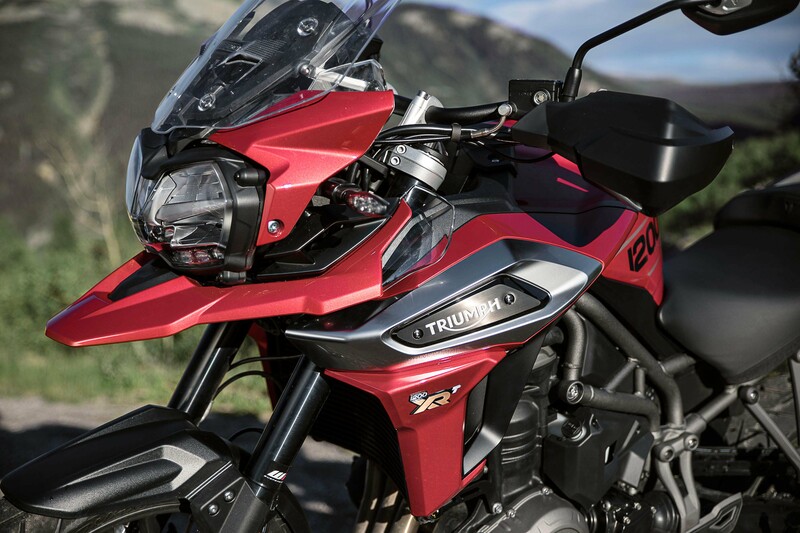 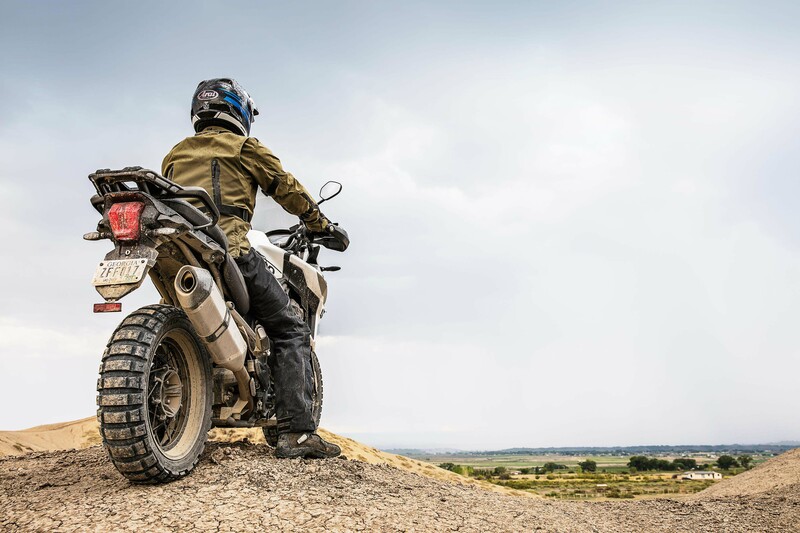 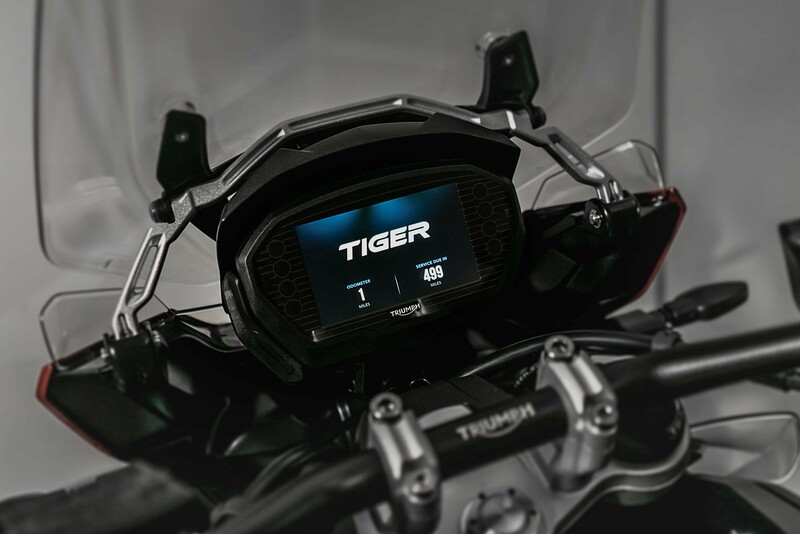 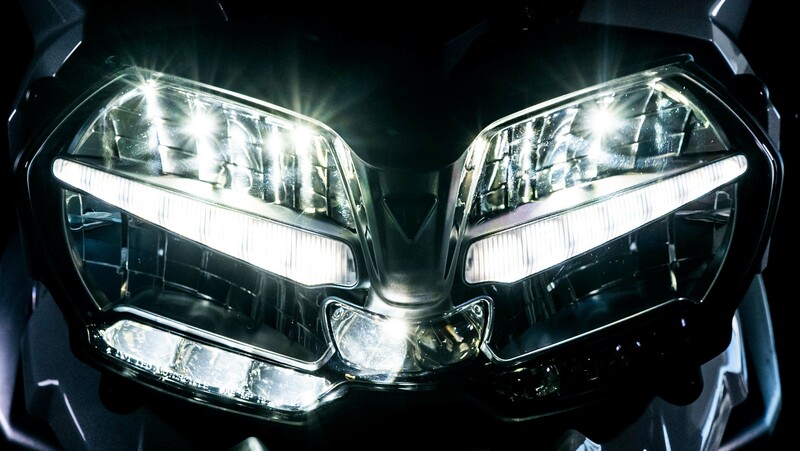 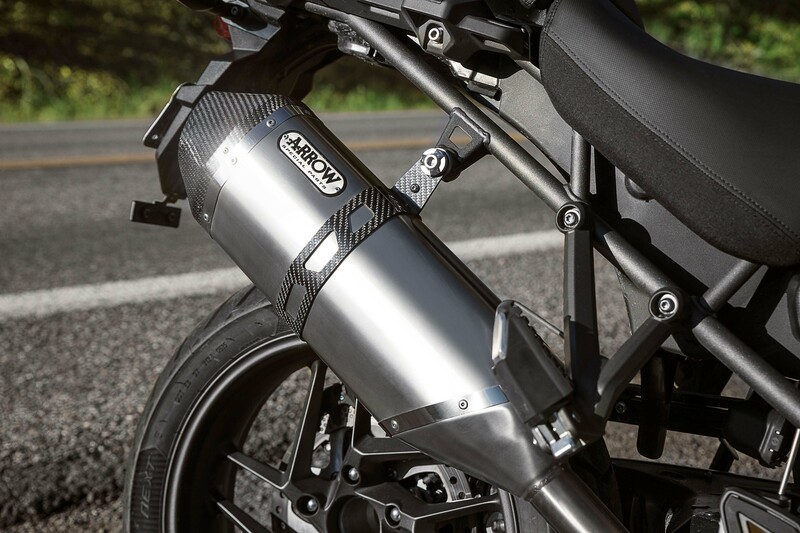 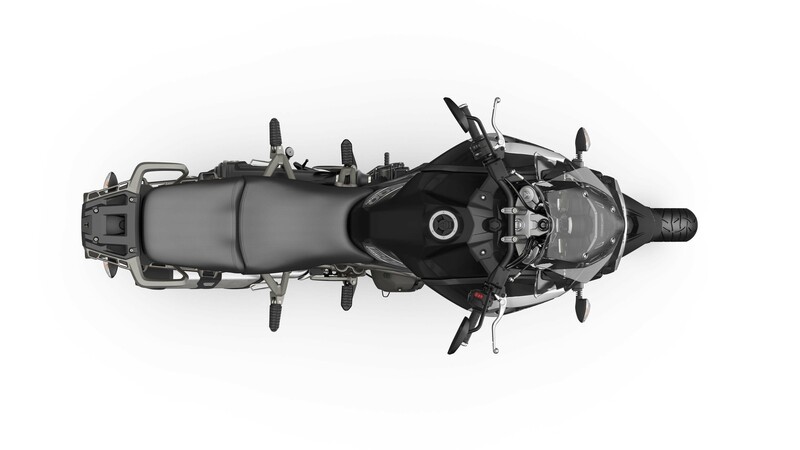 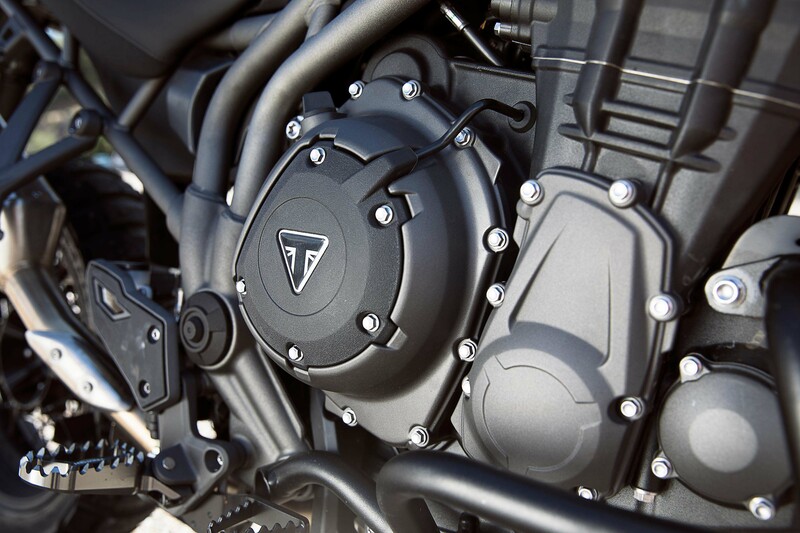 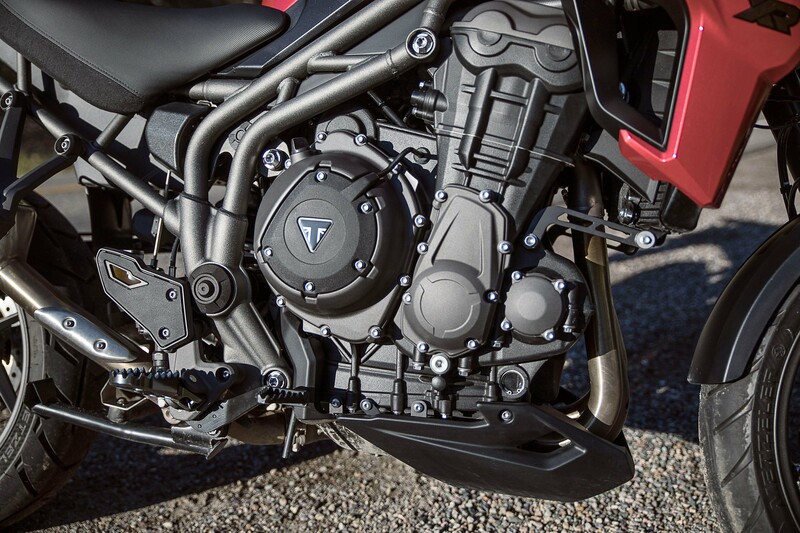 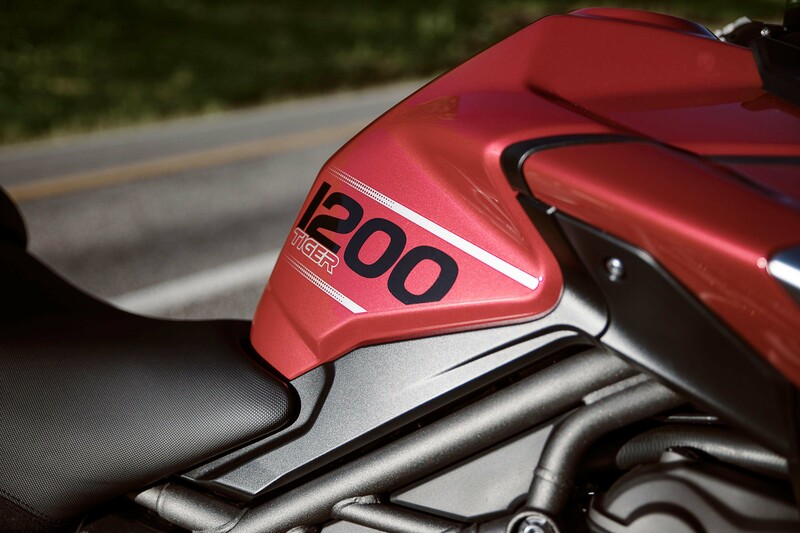 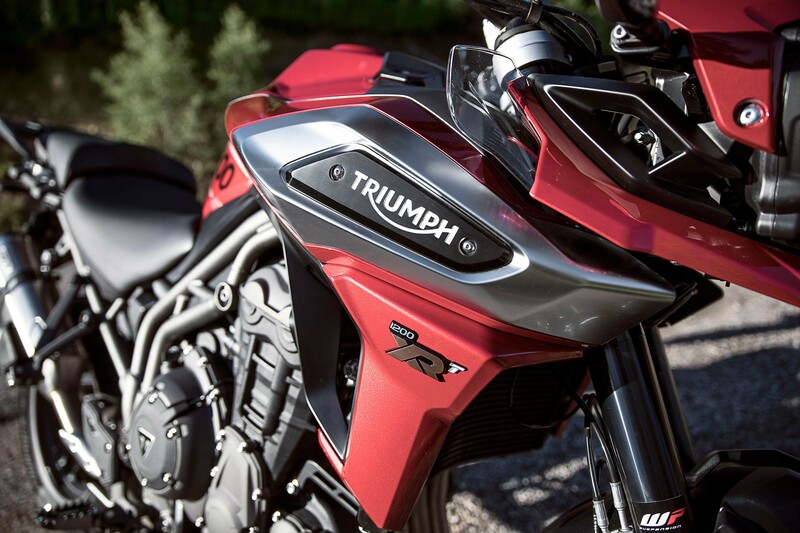 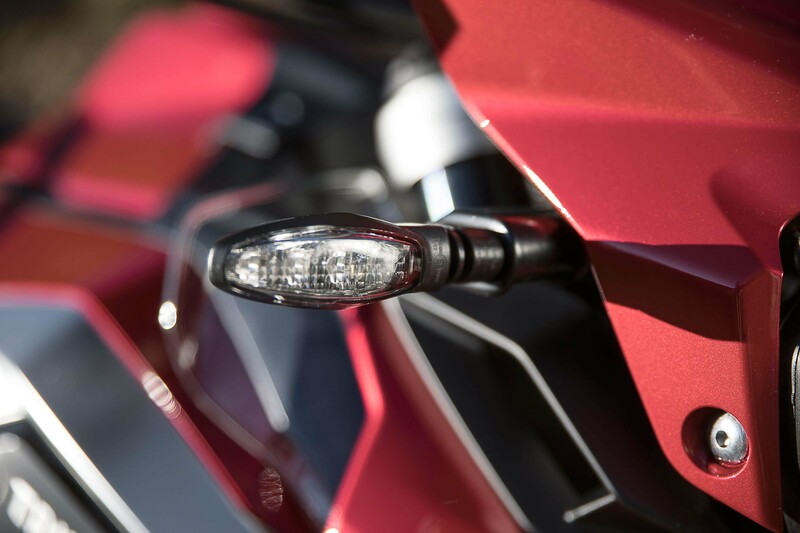 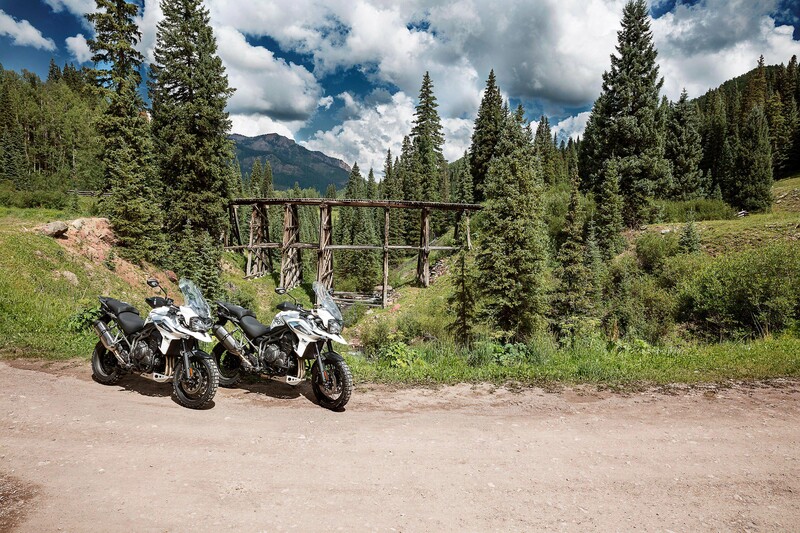 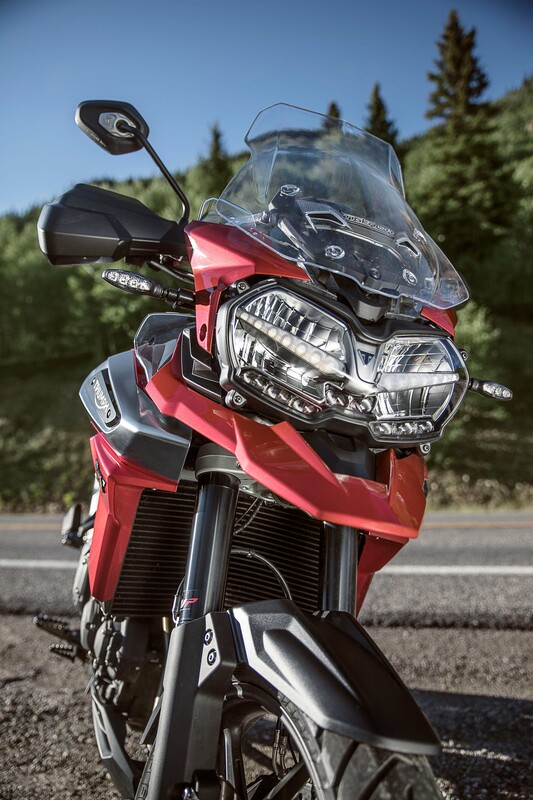 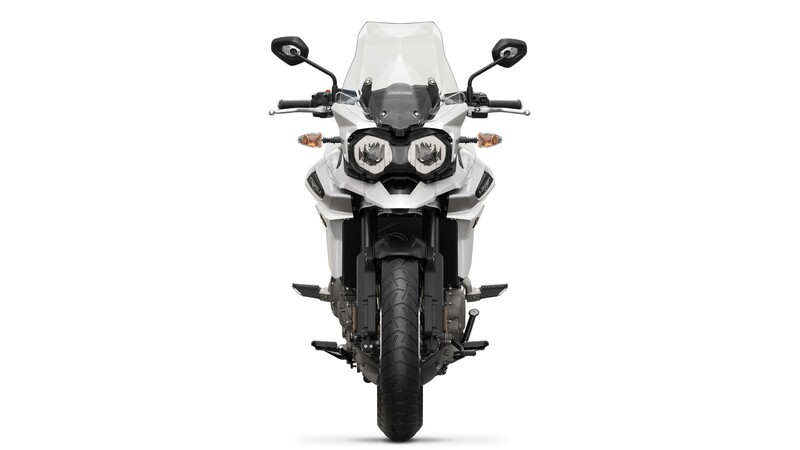 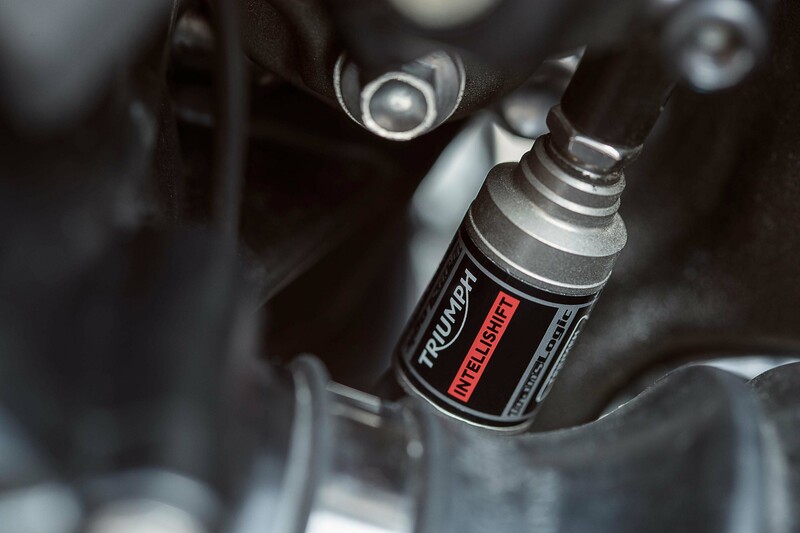 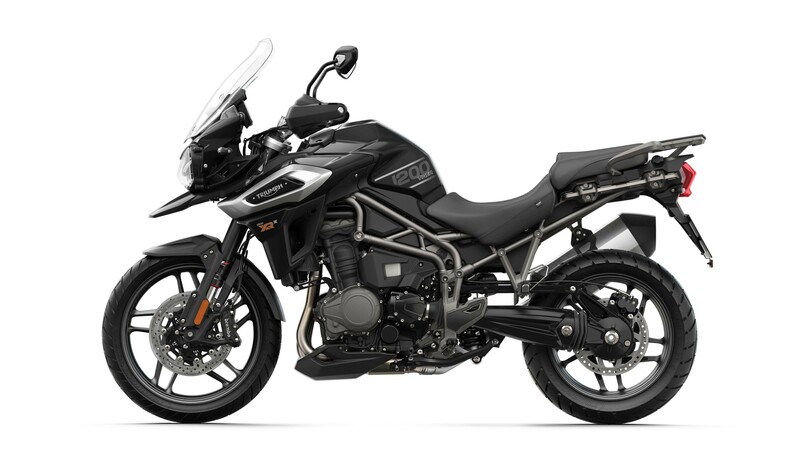 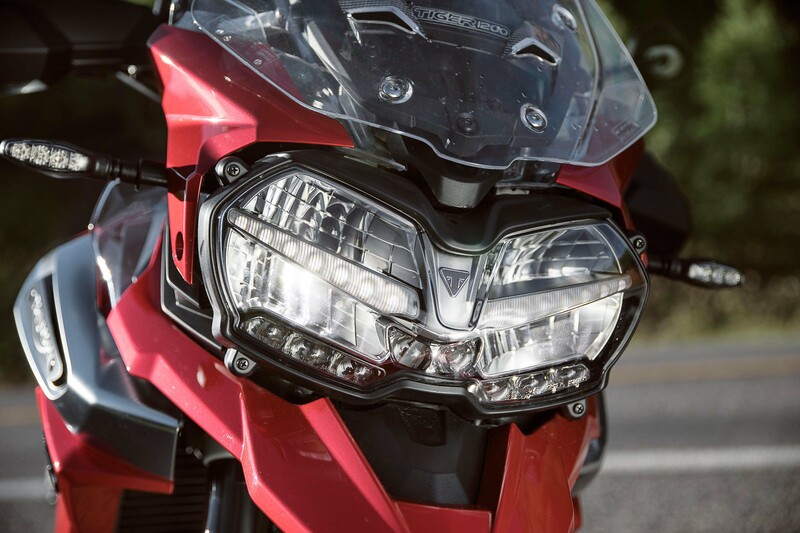 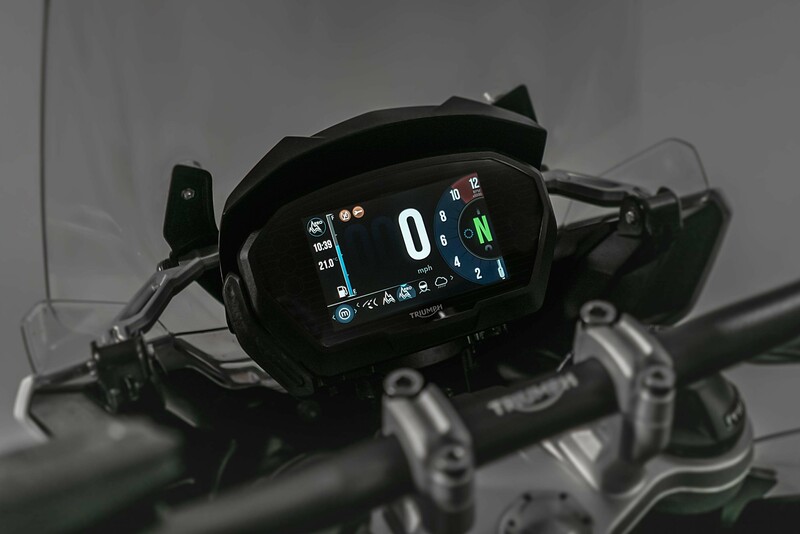 Triumph is quoting a 22 lbs weight reduction for the new Tiger 1200 though (note the name change too, by the way), along with over 100 other improvements found on the adventure bike. The biggest improvement comes to the 1,215cc three-cylinder engine, which makes just shy of 140hp in its shaft-drive format – just as it did in 2017. 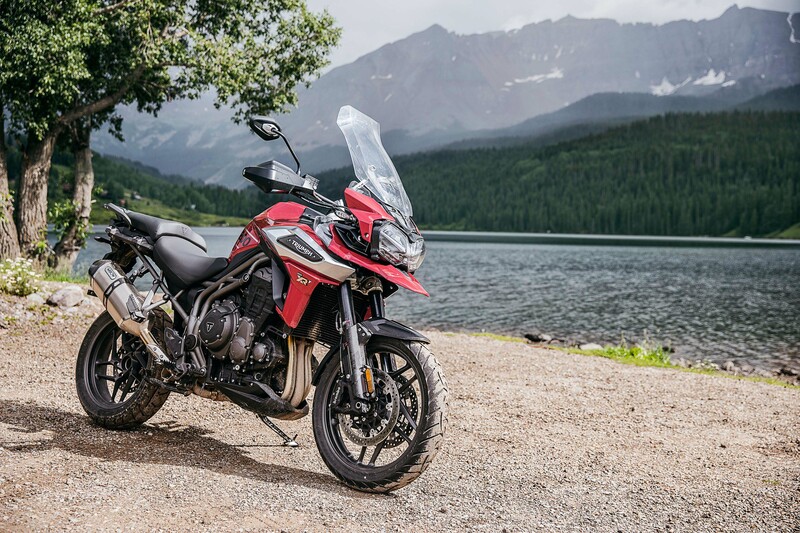 Hoping to make a splash with adventure riders with its 2018 edition however, Triumph has been sure to pack the Tiger 1200 with a bevy of premium features, starting with WP Suspension’s semi-active suspension pieces. 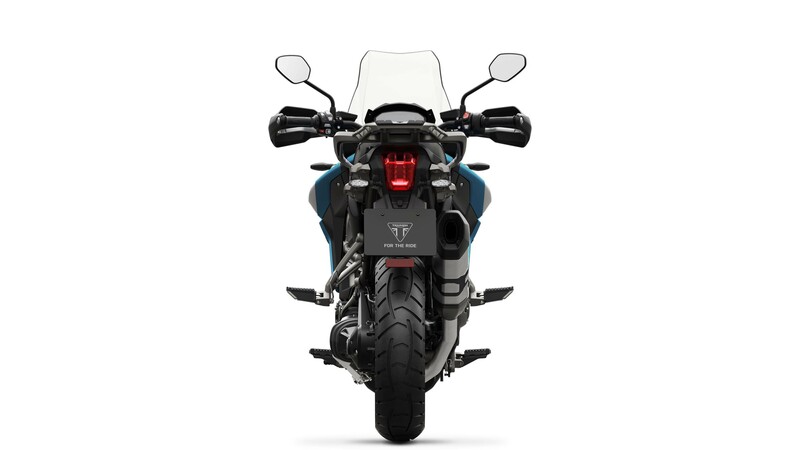 Triumph doesn’t stop there though. 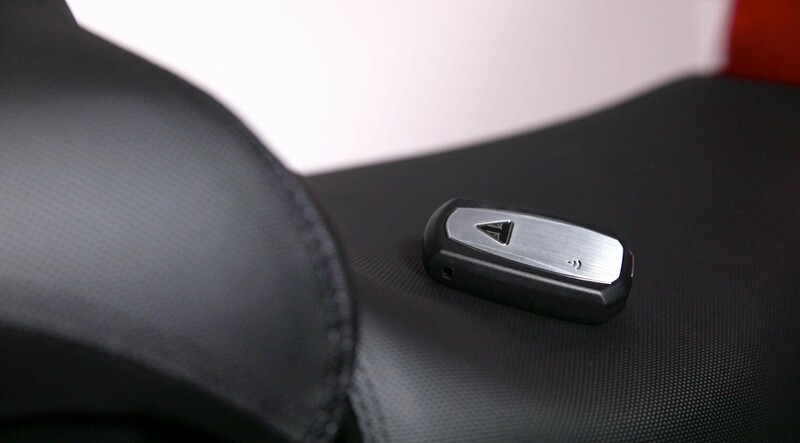 An inertial measurement unit (IMU) has been added to the mix, which provides cornering ABS, as well as helps adjust the new traction control system. 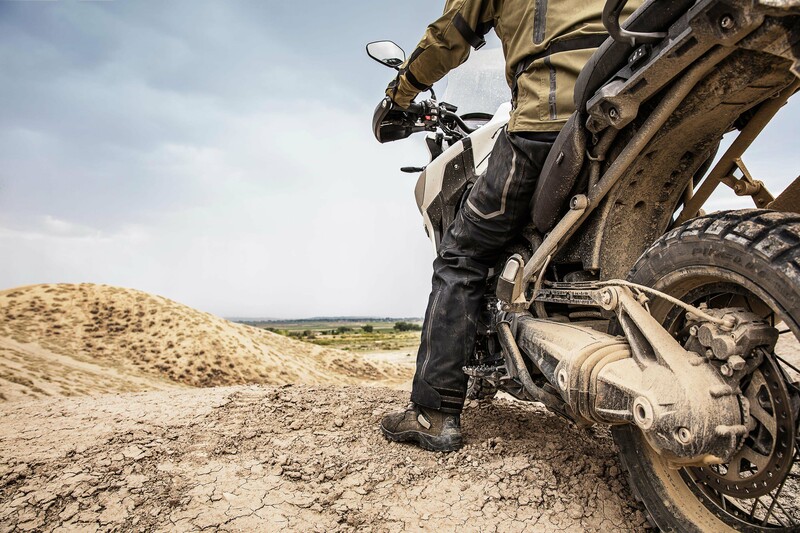 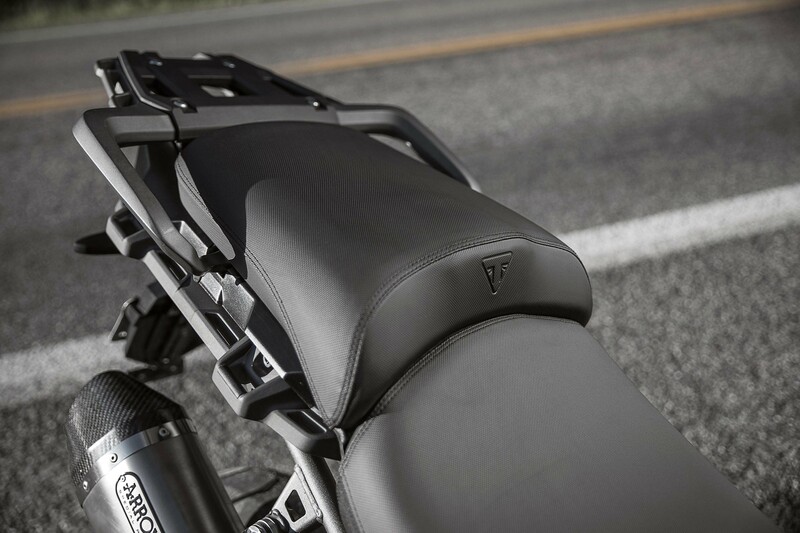 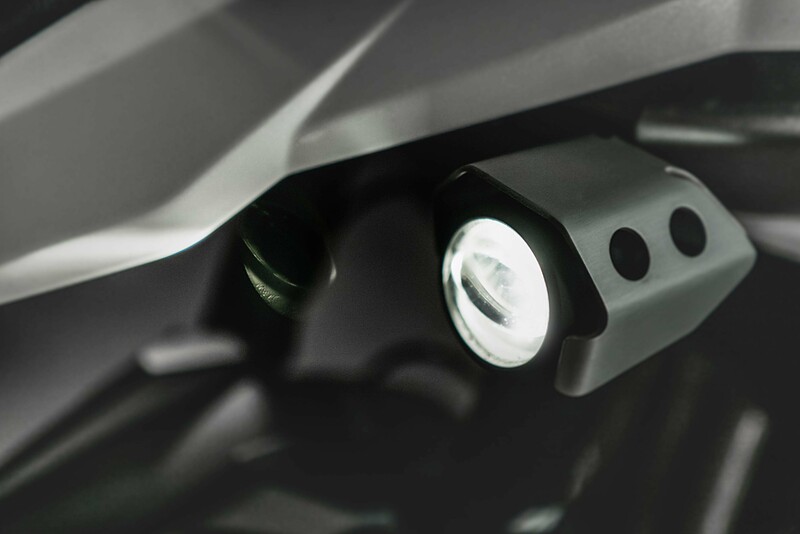 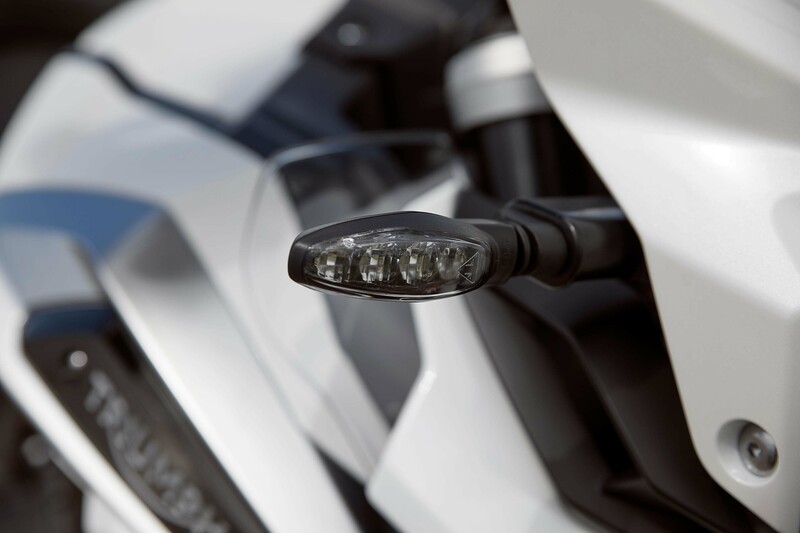 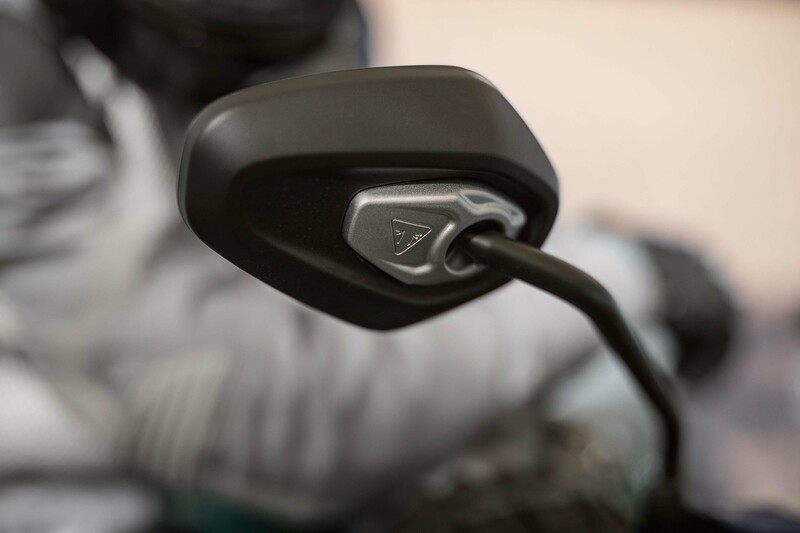 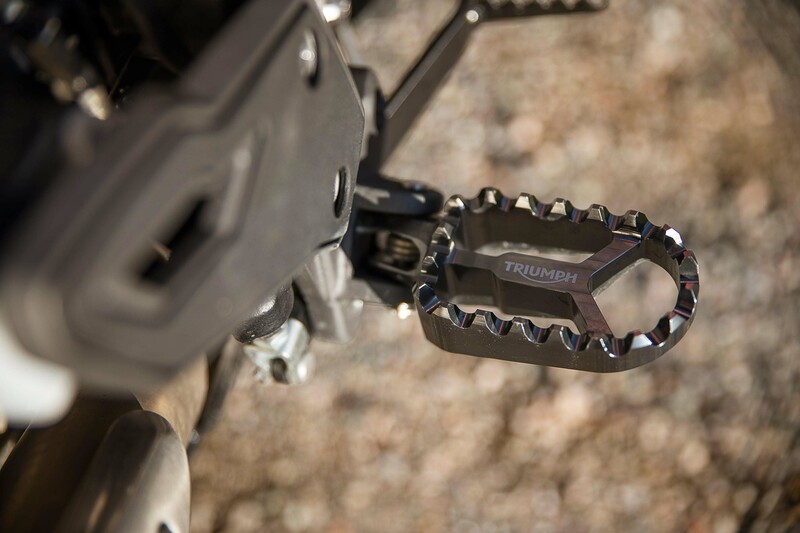 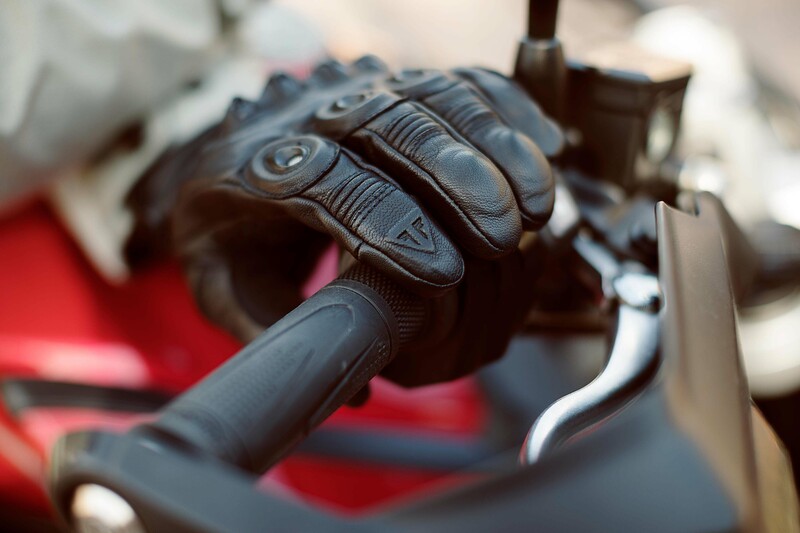 A ride-by-wire throttle provides six riding modes, including the new “Off-Road Pro” mode, which allows the rider to disengage the electronic rider aids. 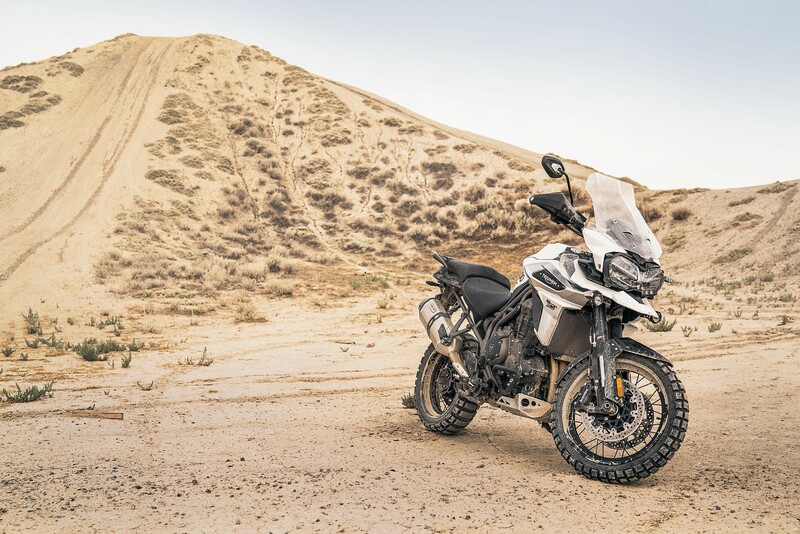 Like with the Tiger 800, the 2018 Triumph Tiger 1200 comes in six different varieties: two on-road models, and four off-road models.